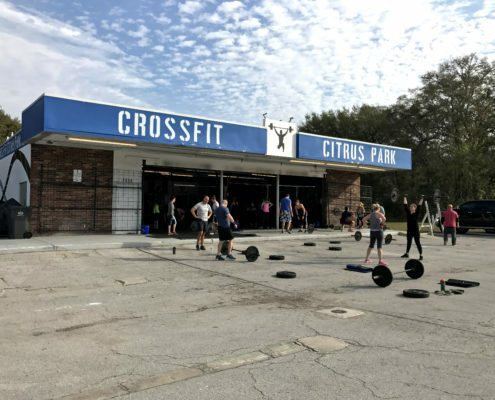 An elite CrossFit gym in Tampa, Florida. 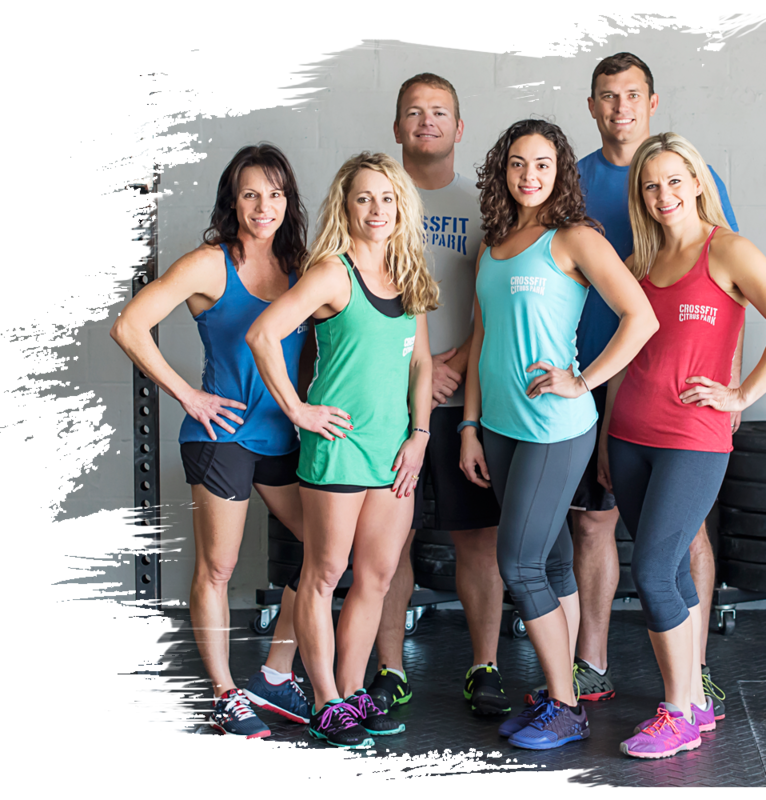 We offer group training based solely on a CrossFit fitness regime. This is not your typical “globo” gym. We embrace the unpredictable, non-routine fitness approach that CrossFit prescribes. We have pull up bars instead of lat pull downs, free weights instead of machines, and pavement instead of treadmills. We have athletes of all ages and backgrounds all with one common goal – to get fit. We encourage healthy competition and camaraderie among our members. We are extremely family friendly and welcoming to all members. We provide an atmosphere that gives each member the courage to perform any workout. We have conviction and believe in the CrossFit model. Our trainers and coaches will perform the same workout as you. We are determined to see that all athletes persevere to finish each workout. No person left behind! To join, check out our Getting Started page. What’s that you say? But you have kids to watch! We don’t take that as an excuse! Ask about our complimentary Child Care Program. ALL FOR THE PRICE OF A SINGLE MEMBERSHIP. “CrossFit is a principle strength and core conditioning program that focuses on optimizing physical skills to forge a broad, general, and inclusive fitness. 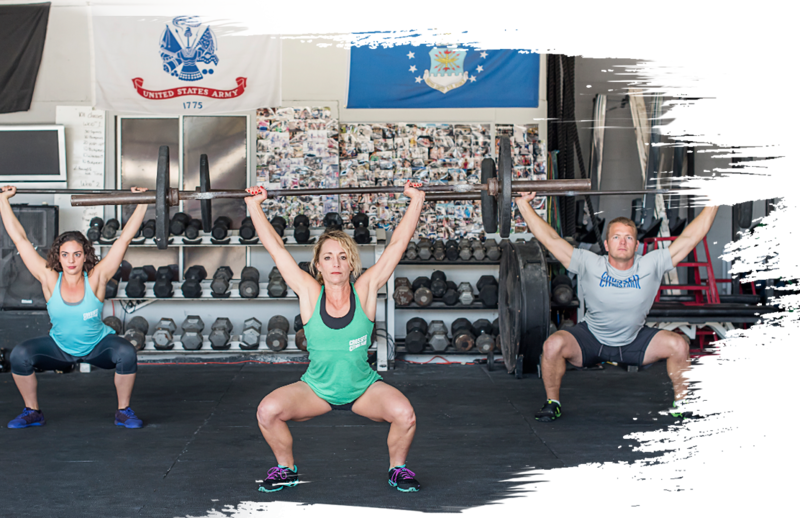 The CrossFit approach is consistent with what is practiced in elite training programs associated with service academies, collegiate athletic and professional sports teams, and professional athletes worldwide. However, this program is not just for the elite athlete. 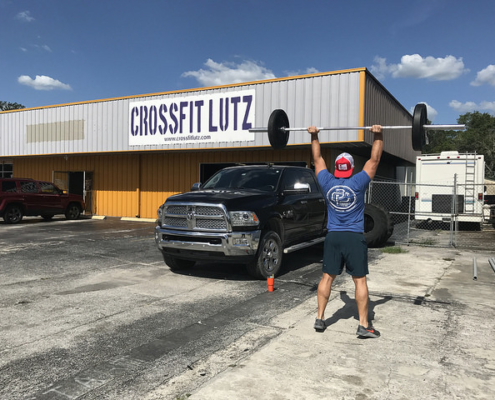 CrossFit is designed for universal scalability and has proven that a person who may be overweight, sedentary, or elderly will receive the same success as that elite athlete.